theres a guy I really like. hes funny cute athletic nice sweet caring and has a great personality. my close guy friend says if you ask him if he likes a girl and he really does, he denies it. 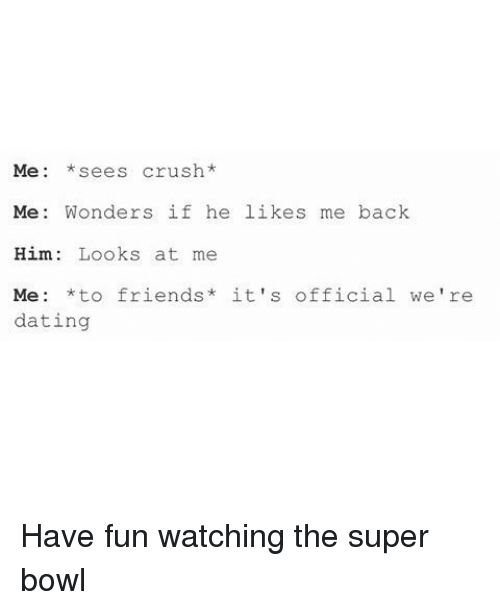 my friend told him I liked him and wehn I was texting my other guy friend bob (not his real name lol) he was also texting billy (the guy I like and thats... I have a feeling these likes me.. either that or they are blind i mean, they are all 13 and likes to mess with me the most but the cutest one will always get pick first " Question of the day "